You are at:Home»Category: "Interactive Visualizations"
My Makeover Monday submission for 2019, Week 2 which focuses of freedom of the press through out the world. 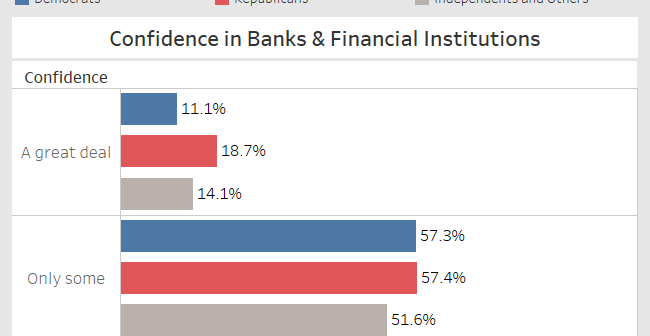 A look at how political party preference can influence confidence in American institutions. A look at how Americans differ by age using the latest data available. Visualizing Data for Every County in the U.S.
A look at how 15 demographic and socioeconomic traits differ in every county in the U.S.
A look at how each state compares to the country as a whole with some of the demographic traits I like the most. When People Move Out of State, What States Do They Move To? This data visualization provides a look at where people are moving when they move out of state using American Community Survey data. The visualization shows different demographic traits on America’s Population Pyramid. An interactive tool showing the high and low points of the unemployment rate since 1990. This visualization takes a look at census data to show how people in different age groups have vastly different demographic traits.